Small car parking spaces are resulting in more than £700 million flooding into the car repair industry every year, new research has found. According to a study by Accident Exchange, there are 1,373 incidents every day in which vehicles get scrapes and bumps as they try to squeeze into tight parking spots – this is up nearly four per cent since 2010. With an average repair bill of £1,428 to restore the bodywork to its former glory, this trend accounts for £716 million a year for car garages, mechanics and repairmen. 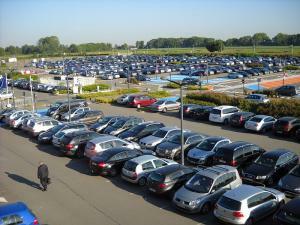 While the motor traders might be benefiting from an upturn in work due to smaller car parking spaces, it is important they do not fall foul of the same fate. By having a road risks insurance policy in place as part of their motor trade insurance, independent car repairers or larger companies can ensure they have cover when driving and parking other people’s vehicles as part of their business. Accident Exchange analysis reveals that general car park incidents represent around 25 per cent of the total number of motoring accidents that takes place in Britain. The organisation says this could be caused by parking spaces becoming smaller and cars becoming wider. The average parking space in the UK is 237.5 centimetres wide, while many cars measure around 200 centimetres in width – leaving just a few inches on either side when parking up. Liz Fisher of Accident Exchange said the reason for the rising accident numbers was that “drivers are having to squeeze their larger cars into smaller spaces and there are many more car journeys made than just a decade ago”. She added that driver visibility is poorer in new vehicles compared to older models.